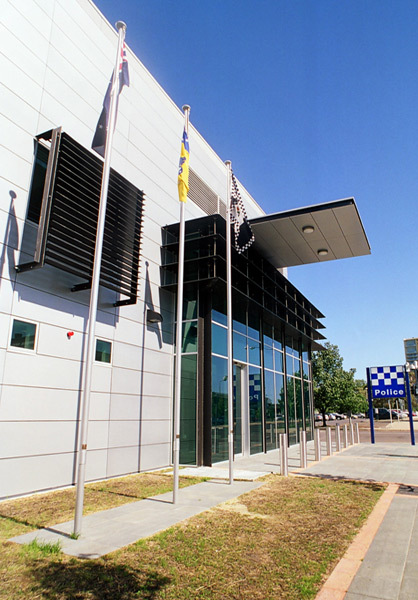 Woden Police Station is a purpose built facility designed to house a maximum of 120 Police Officers, incorporating office accommodation, interview rooms, a gymnasium, lunchroom and outdoor recreation deck. The new complex boasts state-of-the-art equipment including advanced security swipe card entry to all external doors, voice over internet protocol telephone system and video surveillance of entry points, gates, holding cells and important storage rooms. 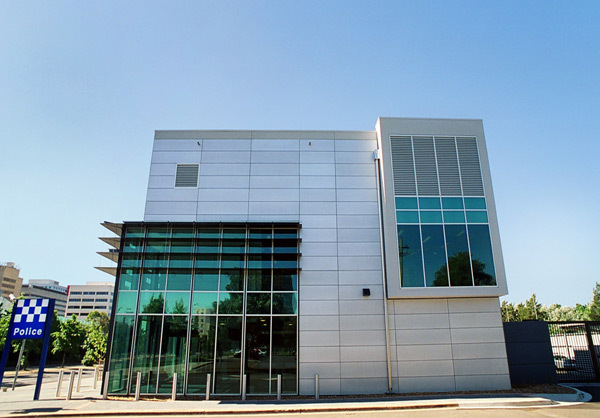 Fully automated air conditioning has been installed together with a building management system, back up power supply generator and uninterruptible power for mainframe back up. The Company offered the Territory some $300,000 in savings through alternative design solutions in its tender. The Territory utilised most of these alternative solutions. Nominated for the 2006 MBA Awards.